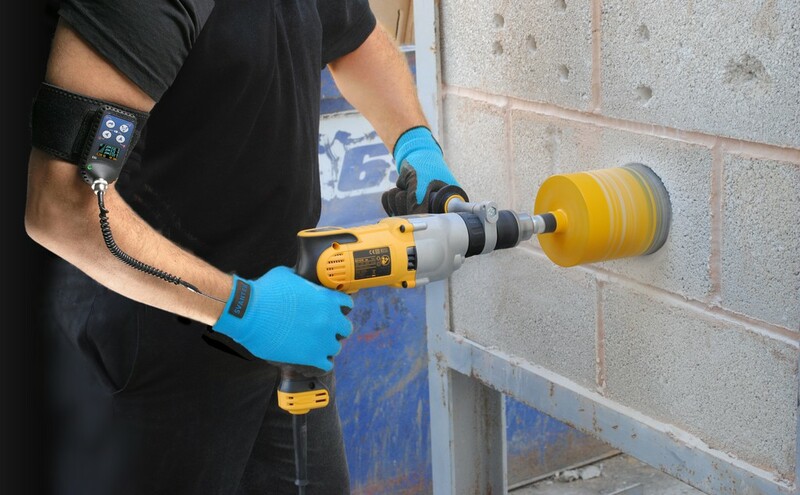 The sustained use of hand-held vibrating power tools and machines produce elevated vibration levels and employees are at risk of permanent damage if they are exposed to harmful effects above the exposure limit value (ELV). The Control of Vibration at Work Regulations 2005, which implement the European Physical Agents (Vibration) Directive 2002/44/EC, seek to protect workers from the harmful effects of vibration by placing a duty of care on employers to minimise the risks to their health. All new machinery built in or imported into Europe has to comply with the Machinery Directive 2006/42/EC, which contains more precise requirements concerning noise and vibration than the previous version. If a company does not monitor the hand-arm vibration exposure of employees it could have serious adverse effects on the business, including potential industrial or compensation claims, lack of accurate statistics, potential prosecutions, heavy fines or costs, negative publicity and loss of productivity and profit. Many currently used assessment methods for hand-arm vibration exposure are subject to a very high level of uncertainty. Typically vibration measurement accuracy can vary in the range of ± 20% to 40% which makes a big difference in relation to the risk of operators developing white finger disease or hand-arm vibration syndrome. Historically the instruments used for measuring hand-arm vibration were very simple, with general purpose accelerometers mounted on a tool’s handle. However, there were problems with the DC shift when the accelerometer was overloaded and switching through the three axes was time consuming. Faster measurements were achieved with triaxial accelerometers, but these tended to be larger, and difficult to mount on small tools or equipment like planes, sanders and polishers which have only occasional contact with the hand. The main problem is where instruments only measure the tool vibration rather than the actual vibration exposure of the operator. Measuring the tool vibration is beneficial if using devices like simple tool timers to assess exposure or where a manufacturer needs vibration figures to publish on a data sheet. To get true vibration exposure, it is essential that the measurement is taken at the hand/tool interface, and assesses how the tool is being gripped and used. Miniaturisation of hand-arm vibration exposure instruments has become possible with the use of MEMS accelerometers, which can be mounted inside a specially shaped base, allowing measurements to be taken directly at the hand position. The accelerometer is fastened to the hand, rather than the tool, so hand-arm vibration from pressure tools as well as grip tools can be measured. The amount of energy being transmitted into the hand/arm system is not just related to the acceleration level, but to the energy transmitted into the system. As a result, the measured vibration can be closely linked to the contact force. Contact force is a combination of the grip on the tool, and the pressure applied to the tool, and will vary between operators, tools and processes. In order to truly assess the exposure, it is essential to additionally measure the force and this is achieved by adding a force transducer to the triaxial accelerometer. Even compliance with ISO8041 and ISO 5349 will not always ensure a repeatable result. By measuring the contact force, operators can be sure that the measurement is representative of vibration exposure for a given task. Such measurements are uniquely achieved with Svantek’s SV106 six-channel human vibration meter and analyser and SV103 personal hand-arm vibration meter. Standards are currently being updated to reflect this development. 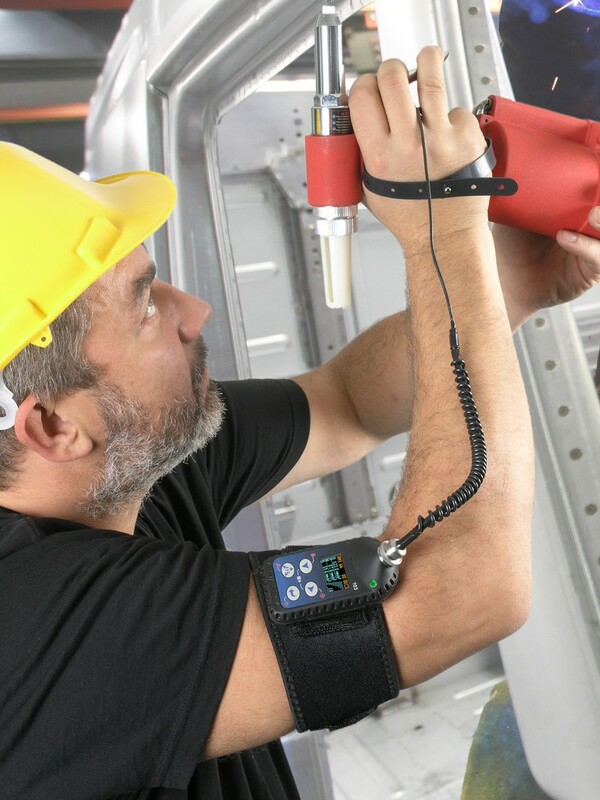 As the world’s first personal hand-arm vibration meter, Svantek’s SV103 easily attaches to the operator’s arm whilst the lightweight MEMS accelerometer straps to the hand making it the only device to accurately measure the vibration dose being received. It incorporates an additional contact force transducer that measures whether the tool is being gripped correctly. The lightweight, easy to use instrument meets ISO8041:2005 and is suitable for taking measurements in accordance with ISO5349 and European Directive 2002/44/EC. The SV103 significantly reduces measurement uncertainty as it is strapped to the operator’s arm and is small enough to take daily vibration exposure measurements without interfering with normal working activities. It offers 1/1 or 1/3 octave real-time analysis and is powered using rechargeable batteries or through the USB 2.0 interface which enables easy interconnection between the instrument and a PC. The measurement data is safely stored in the large 8GB memory. Additional features include colour OLED screen which displays information in both text and graphical form and offers excellent visibility even in full daylight. Utilising hand-arm vibration meters that accurately measure contact force offer numerous benefits to a business and its operatives including reduced costs and improved health and safety, while reducing new cases of HAV syndrome. It can help facilitate alternative working methods and equipment and workplace layouts can be sourced that eliminate or reduce exposure to vibration which improves productivity, increases plant and equipment uptime and extends machine life and reduce maintenance costs.